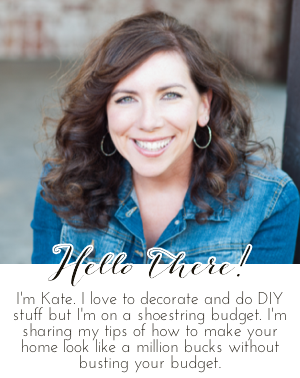 Chic on a Shoestring Decorating: Last Day of Summer, Cutting Edge Stencil Giveaway Winner! Last Day of Summer, Cutting Edge Stencil Giveaway Winner! The winner of my $50 credit to Cutting Edge Stencils chosen by random.org is #29, Stacey from Embracing Change! I'll be in touch Stacey, Congratulations!! Just like that and it's gone. Technically, it's not the "real" last day of summer. According to the "real" calendar, (not the school calender) fall doesn't even start until September 23rd. BUT, school starts tomorrow for my little guy, so that means the end of summer for me. I'm sure a lot of you moms out there with kids in school will agree with me, summer is over when school starts. This summer has seriously been the fastest summer of my life. It was strangely, almost obscenely fast. We didn't do a bunch of crazy stuff to take up all our time and make it go fast. We just kinda hung out and had a lot of lazy days. Lazy summer days should not go fast, they should go slooooowwwww. I purposely didn't sign us up for too many summer activities so that we wouldn't be rushing to games and lessons every single day. We had just enough to do. Today we had a special "Last Day of Summer Fun Day". We spent it at the pool (that was practically empty), then a picnic lunch, walk around the lake, and ice cream. It was perfect. We were busy this summer, busy doing nothing. Have you had your last day of summer? Hi Kate! No, we haven't had our last day of summer yet. Here in New England, school starts the day AFTER Labor Day and that is FABULOUS, I love it. So we have 2 1/2 weeks left yippee! Thanks so much for visiting and commenting on my blog recently. Have a great day! I see a lot of kids in the community pool these days. I guess everyone is busy making the most of the vacation days left.